Shah Rukh Khan, who is gearing up for the release of “Raees”, will be seen promoting the action crime thriller film on popular reality show “Bigg Boss 10”, which is hosted by Salman Khan. Bollywood superstar Shah Rukh Khan, who is gearing up for the release of “Raees”, will be seen promoting the action crime thriller film on popular reality show “Bigg Boss 10”, which is hosted by Salman Khan. 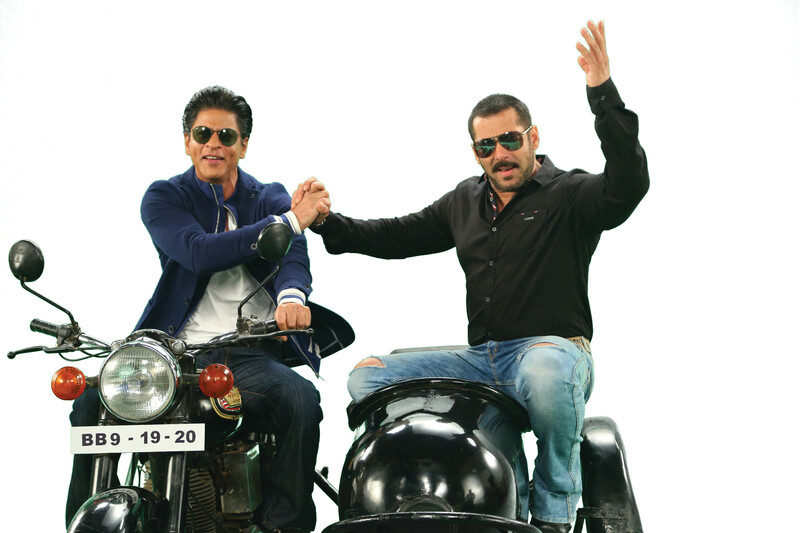 Shah Rukh and Salman recreated the “Karan Arjun” moment when they appeared together on an episode in the ninth season of “Bigg Boss”, when Shah Rukh promoted “Dilwale”. They will shoot together again for the semi-finale episode of “Bigg Boss 10” on Jan. 20 on the show’s set here, read a statement from channel Colors. They will be seen having a lot of fun over interesting tasks and games. Shah Rukh and Salman’s onscreen chemistry was loved by all in the recently aired 23rd annual Star Screen Awards 2016, which they co-hosted. Set against the backdrop of the prohibition in Gujarat, “Raees” touches upon the way alcohol industry crumbled and several illegal activities followed. In the film, Shah Rukh essays the title role of Raees, a bootlegger. Directed by Rahul Dholakia, “Raees” also stars Nawazzuddin Siddiqui and Pakistani actress Mahira Khan. It is slated to release on Jan. 25.